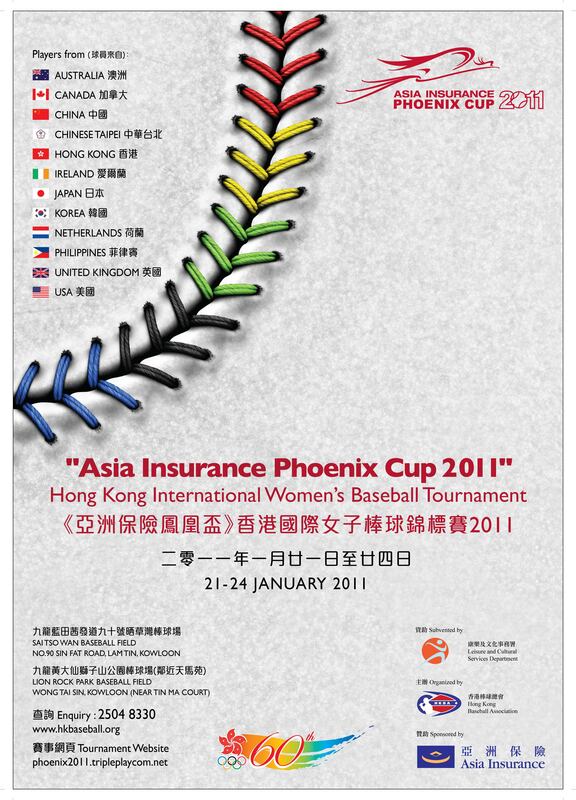 The Hong Kong Baseball Association is proud to host the "Asia Insurance Phoenix Cup 2011". The Phoenix Cup is a Hong Kong International Women’s Baseball Tournament that is taking place in Hong Kong for its fourth time. The event will be staged from 21 - 24 January 2011. Seven teams will be participating in this year’s tournament. Players of these teams come from : Australia, Canada, China, Chinese Taipei, Hong Kong, Ireland, Japan, Korea, Netherlands, Philippines, United Kingdom and USA. We anticipate a remarkable and enjoyable event for all participants coming from different regions of the world.